After my L. itabunae molted, undergoing a drastic color change in the process, I decided it would be fun to post a before and after picture. 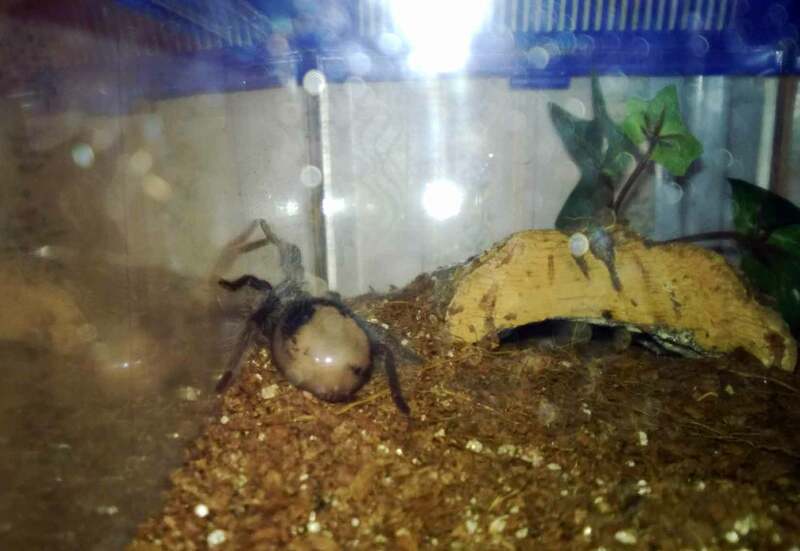 I went through my phone, looking for a shot of my T before its molt, sure that there must be one in my collection of pics. Somehow, in all of the excitement of receiving and rehousing my new pet, I forgot to snap a picture. Although I had the molted exoskeleton, I didn’t have the pic of the spider wearing it. So, not wanting to repeat my mistake, I made sure to snap a couple extra pics of my female L. parahybana before she molted. As luck would have it, I managed to catch her the day before her abdomen severely darkened up due to premolt. The following pictures show her yesterday evening, and then today. 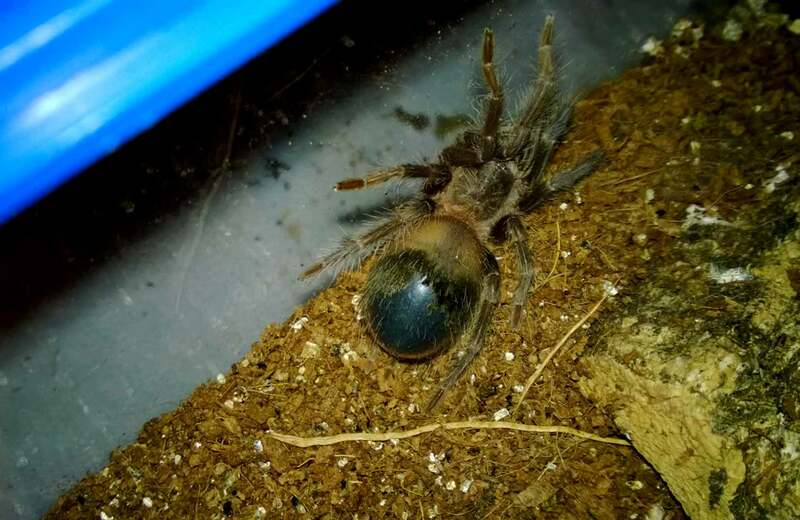 Notice the much darker coloration of her abdomen, an indication of her new exoskeleton developing underneath. I’m hoping that she’ll inch closer to her adult coloration with this next shed. LP in early premolt. Notice the bald abdomen due to hair kicking. 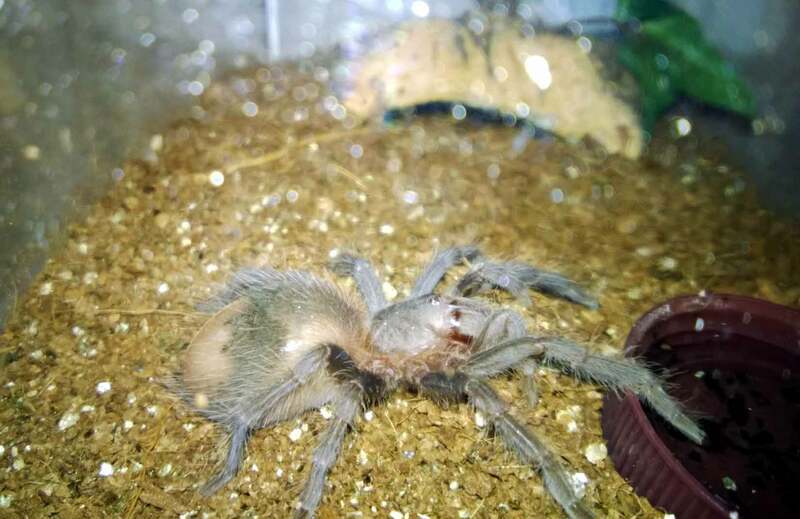 I would expect her to molt sometime next month, and when she does, I will definitely be posting new pics. I’m very eager to see what changes in size and appearance this next shed will bring. LP one day later. Notice the abdomen has turned much darker. She is definitely in premolt.